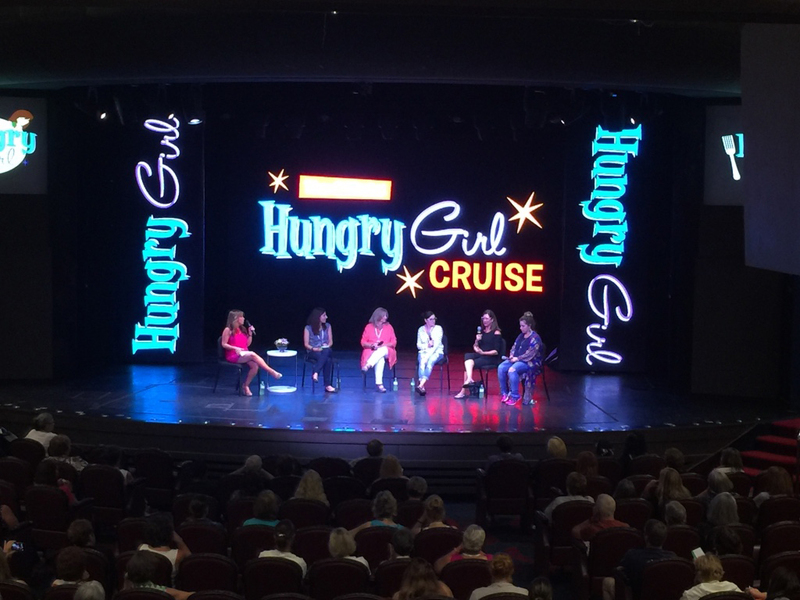 The Official Hungry Girl Cruise! It's me, Lisa, a.k.a. Hungry Girl! 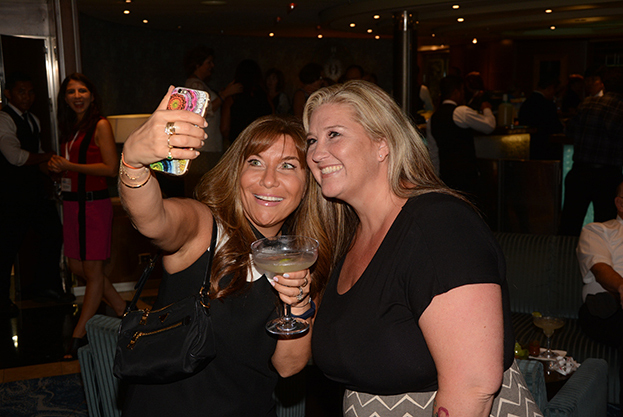 The first Hungry Girl Cruise was a MASSIVE success, and this one will be bigger and better! 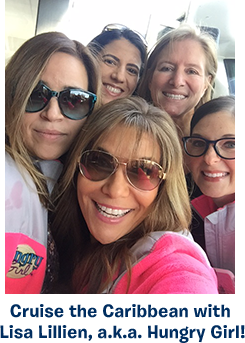 Words cannot describe how much FUN you'll have onboard with me and the Hungry Girl crew... all while learning food tips, weight-loss tricks, and so many other ways to make your life even better! I can hardly wait... Hope to see you in April! Cooking Demos & How-Tos! Lisa and the team will deliver hands-on kitchen guidance... See her recipe concepts come to life! Interactive Presentations! Lisa (and special guests!) will lead sessions on meal planning, calorie burning, grocery shopping, and more. 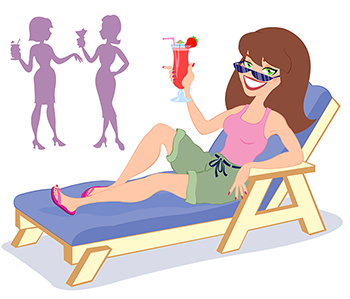 Soak up Lisa's personal tips 'n tricks for losing weight and keeping it off. Complete with games, Q&As, audience participation, stretch-to-music breaks, and more! Hot-Topic Panels & Discussions! From emotional eating to overcoming weight-loss plateaus, no topic is off-limits. Successful dieters will share what WORKS. Food & Fitness Myth Busting! Robert J. Davis, PhD (a.k.a. the Healthy Skeptic) will offer an eye-opening look at some surprising fallacies surrounding health, food, and fitness. 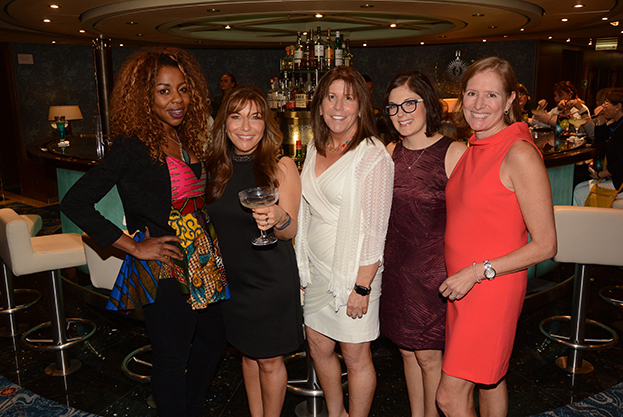 Parties & Get-Togethers! 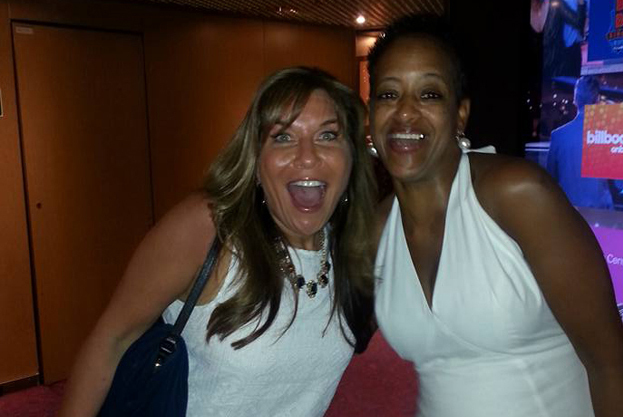 Bonding with Lisa, the HG staff, and fellow cruisers is one of the BEST parts of the Hungry Girl Cruise! Workouts & Group Deckwalking! Mandee Miller is back! Join Lisa's personal trainer for all-level group exercise crammed with energetic fun! 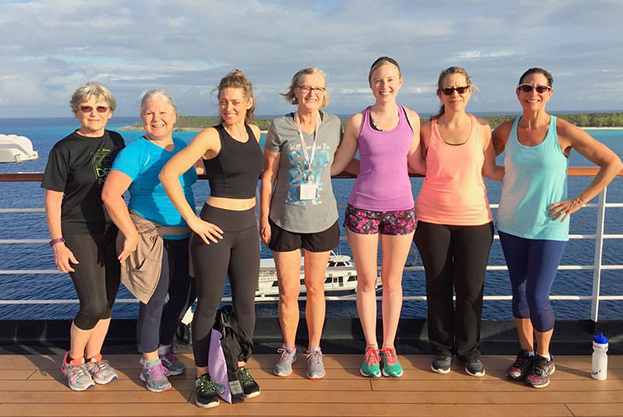 Plus, join Lisa and the HG staff for calorie-burning deck walks! 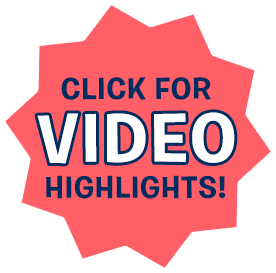 Dance Parties & More! Meet Lisa & the gang at B.B. King's Blues Club, and dance it up to live music. 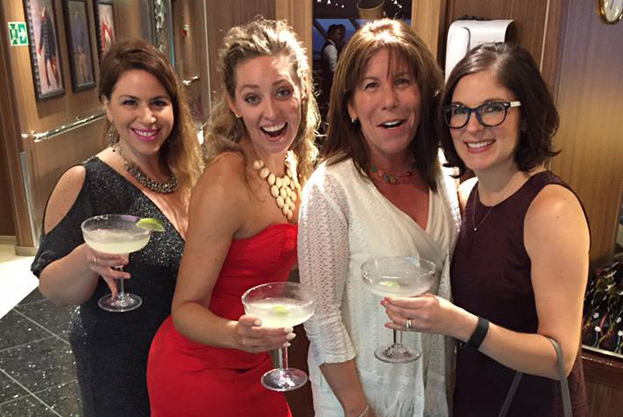 Our hilarious host Julie will lead sing-alongs in a private venue! Raffle Prizes & Giveaways! Everyone will receive exclusive HG goodies and TONS of HG-friendly snacks! Plus, daily chances to win big prizes: kitchen gadgets, one-on-one sessions, and MORE. Nightly HG Entrées! 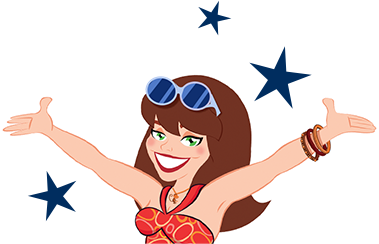 Join us in the dining room for Hungry Girl recipes (plus other AMAZING food options), complete with calorie counts! Click here for the full program schedule! 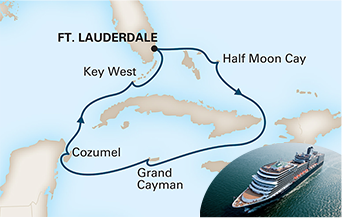 Prior to embarking on your fun Caribbean cruise -- or when the boat docks back in Ft. Lauderdale -- enjoy the cafes, see the historic Riverwalk, shop the luxurious stores on Las Olas Blvd., or adventure to the Everglades for an exhilarating air boat excursion. This Bahamian island captures all the magic of a secluded retreat. 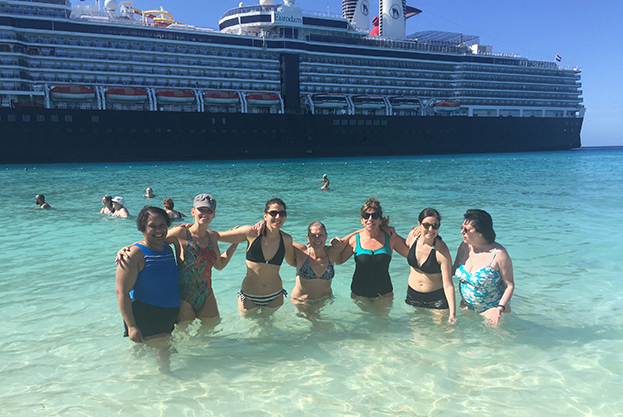 Privately owned by Holland America, Half Moon Cay remains largely in its pristine, natural state, with a wonderful Wild Bird Preserve designated by the Bahamian National Trust. Its beach is a two-mile-long, crescent-shaped bay with silky, white sand beaches -- the perfect tropical island paradise of your dreams. Enjoy swimming and snorkeling, glass-bottom boat rides, and a variety of activities from the Water Sports Center (including kayaks, paddle boats, sailboats, parasailing, deep-sea fishing, and scuba diving). 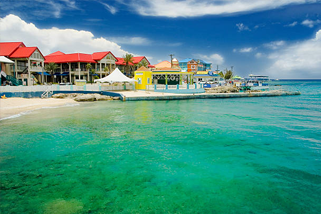 George Town is the capital of the Cayman Islands and one of the most popular cruise-ship destinations in the Caribbean, thanks to its year-round tropical weather, white-sand beaches, and clear blue waters. Don't miss Stingray City and diving & snorkeling near the coral reef. George Town offers plenty of duty-free shopping, restaurants, and cafes. If you can pull yourself away from the beach, try an excursion to one of the West Indies' few remaining tropical rainforests. Cozumel is proof that Mexico can do island flavor with the best of the Caribbean. 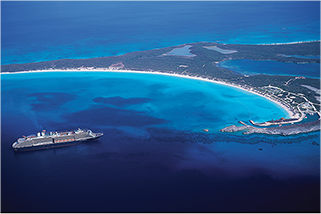 It may not be the biggest island in the sea, but Cozumel offers a huge variety of things to do, see, taste, and explore. 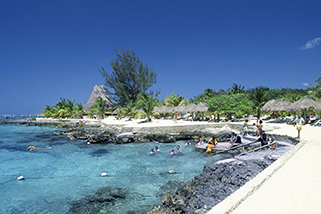 One of the top diving destinations in the world -- thanks to its bright storybook coral reefs -- the island of Cozumel is also home to a variety of natural beaches. Choose a beach with soft white sand for relaxing, or select a rockier vista for snorkeling. A destination for both adventure and romance, Cozumel has a year-round Caribbean climate, untrammeled jungle, and abundant nightlife. 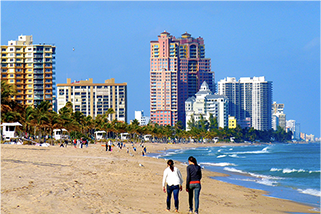 Located closer to Cuba than to Miami, Key West is Florida's irreverent southernmost subtropical paradise, a unique confluence of history, climate, natural beauty, cultural diversity, architecture, and unabashed romantic appeal. 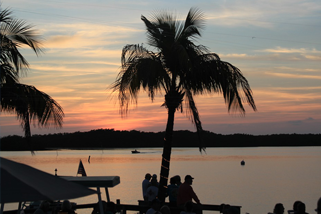 Palm-lined streets with gingerbread mansions and tin-roofed conch houses were home to Ernest Hemingway, Tennessee Williams, Robert Frost, and Jimmy Buffett, a few of the famous people who discovered solace and inspiration in this island city. Residents and visitors to the island actively participate in sightseeing, diving, fishing, watersports, and shopping. Rates based on Double Occupancy (per person, in US Dollars). Category pricing & availability is subject to change. After submitting your online registration, if the prices are higher than those listed below, or if the category is not available, you will be contacted & advised of current pricing before any payments are charged. If your category request is available with applicable pricing -- your registration will be processed. Categories K&J offer limited availability in the larger size. Bathrooms are shower only, no bathtub. All outside cabins on the main deck. Cabins include a 3" x 4" non-opening window, sitting area, and bathroom with shower and tub. The primary difference between cabin categories is based on location on the ship. Click to see deck plan. 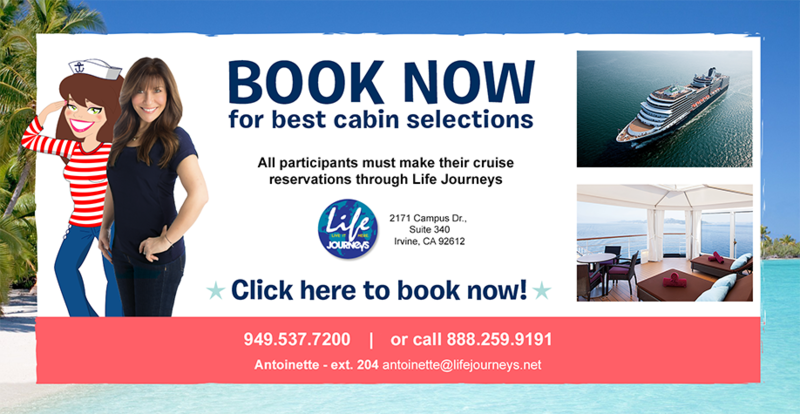 Staterooms have a large sitting area with sleeper sofa for one person, dual sink vanity, full-size whirlpool bath, additional shower stall, DVD player, and floor-to-ceiling windows. Large sitting area, dual sink vanity, dressing room, full-size whirlpool bath, additional shower stall, sleeper sofa bed for 2, DVD player, floor-to-ceiling windows, & Neptune Lounge concierge amenities. 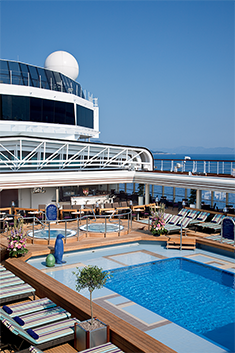 spend as you wish onboard the ship! 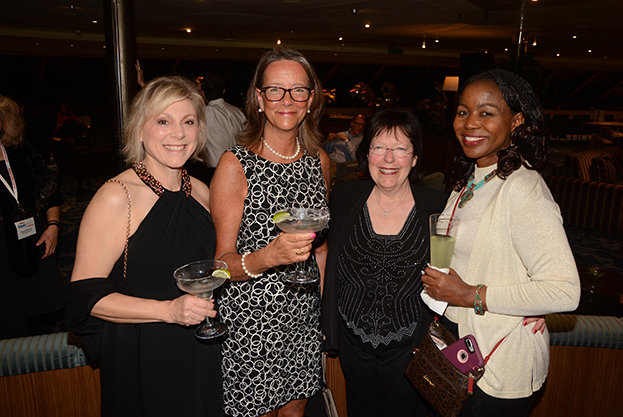 Onboard credit can be applied toward excursions, the spa, specialty restaurants, casino, and more! Only applies to 1st and 2nd person in each cabin.